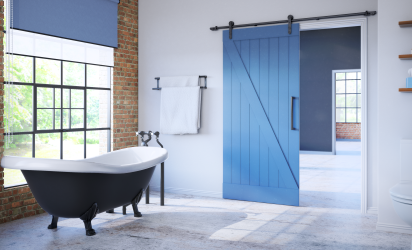 Brio’s visually striking Open Round Rail Timber systems are ideal for single panel applications in residential or commercial spaces. Sealed precision bearings and nylon inlaid tyre ensure high performance and smooth operation every time. The 304 stainless steel rollers and rail are available in a brushed stainless or PVD Black finish. 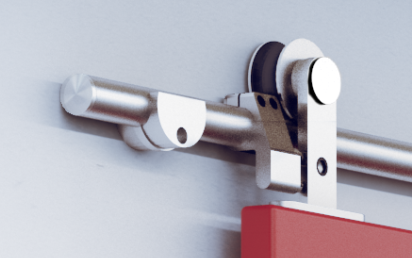 The soft stop accessory provides an added level of quality while maintaining a streamline, heavy duty appearance on timber panels up to 100kg. 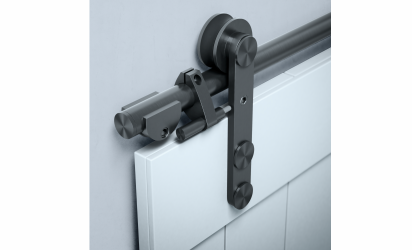 A multitude of guide options make Brio’s Open Round Rail Timber systems versatile for any situation. Open Round Rail Glass is also available for frameless glass panels and Open Square Rail Timber is available for 150kg panels. 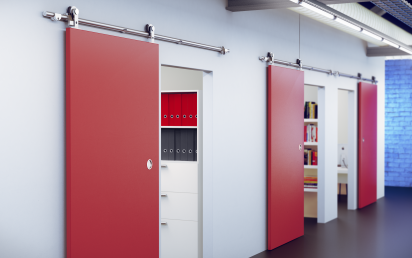 Brio’s face fix hanger offers an exciting, contemporary aesthetic for timber panels up to 40mm thick. 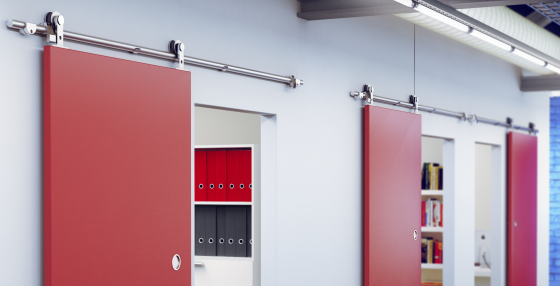 Brio’s top fix hanger is quick to install making it ideal for office applications with panels up to 44mm thick.